Welcome to Begbies Traynor Swindon. We are a group of licensed Insolvency Practitioners in Swindon offering services to help companies with either rescue or closure options. Swindon Address Windmill Hill Business Park, Whitehill Way, Swindon, Wiltshire, SN5 6QR. 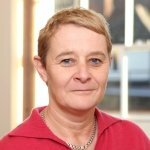 Julie Palmer is among the most highly respected insolvency practitioners and corporate recovery experts in the south-west of England. She and her team at our Swindon office help Begbies Traynor deliver unrivalled expertise to financially stricken companies across the region and beyond. The Swindon office of Begbies Traynor is part of a much broader network spanning the length and breadth of the UK. We have offices in every region and in major cities nationwide. This presence enables us to tap into decades of experience across virtually every industry sector and in almost every conceivable context relating to corporate insolvency and the decision-making it entails. If you are a company director and you are worried about the implications of seeing your company enter insolvency, or if you are negotiating with HMRC, then we can help. In fact, whatever your particular situation is, we can guide you through the full range of issues and considerations involved. At Begbies Traynor, we understand that financial distress can be a very testing scenario to be involved in from any perspective, and we always endeavour to provide a personal and considerate service that takes this fully into account. Dealing with financial distress is never easy, but with the right support and advice the negative impact can be lessened and positive steps can be taken with confidence. Call your local Begbies Traynor office today to find out how we might be able help you or to arrange a free initial consultation. We do have further offices in the South-West region which are located in Bath, Bournemouth, Bristol, Cheltenham, Exeter, Oxford and Salisbury which you may find more convenient for you.